Chennai - 600 087, Tamil Nadu, India. On 01.07.2001, Sri Venkateswara Montessori Teachers Training School started functioning with an incredible strength of 1 student with the blessings of God and encouragement by our director Prof. Lion A. Jayaveerapandian (AMI \ AMS Member) and Correspondent Mr Subash (AMS Member). With their able guidance, till today, more than 8,000 trainees have taken training from this centre and are employed in reputed schools like Venkateswara, Chinmaya Vidyalaya, AVM Matric, Jawahar Vidhyalaya, Devi Academy, Pon Vidyashram, PSBB DAV, Shram Academy, SBOA, Vivekananda Vidhyalaya, T.I. Cycle school and Velammal Matric in Chennai and in such reputed schools throughout India. The School provides good syllabus at international standard and manned and managed by very well experienced, responsible and devoted staff to train student teachers in the Montessori method of teaching. Student teachers trained in this institution are awarded Certificates and diplomas which enable them to seek placement in reputed schools in India and abroad. Jan Sikshan Sasthan (Makkal Kalvi Niruvanam), A Unit Of Ministry Of Human Resource Development, Govt Of India To Conduct Certificate Courses In Baby Care, Play School Management And Creche Management. Sree Narayana Guru College ( Affiliated To Research And Examination Board, Kerala)To Conduct B.Ed Distance Education Programme. Blooming Buds Montessori Pre School ( Ams Registered – Certified By The Undersigned) To Take Franchisee In The Name Of “ Thulir” Montessori, Or “Global Kids” – Based On Modern Montessori / K.G./Traditional And Scientific Methodology. To issue Prospectus & Applications as required by the franchisee co-ordinator. To supply Curriculum/ Syllabus and Time table on quarterly basis. Guideline of Craft work to be done. Spoken English/Communication Skills/Guidance for Parent counseling and Directions on conducting competitions. To prepare the Agreement and maintain records about the franchisee schools. after the mutual discussion between H.O and Franchisee. 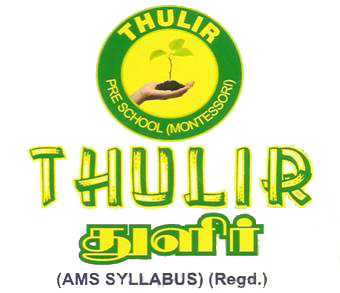 To setup the Montessori school in the brand name (“THULIR”) as per our guidelines. To give advertisements and do admissions. To do the initial assessment of the child in the format given by the H.O. To conduct classes based on the curriculum given by the H.O. To maintain registers as required by the H.O. To pay the initial Franchisee fee (one time payment) Rs. 50,000/- and 20% of the gross income of the monthly receipts to H.O. on or before 5th of the every month along with the bill copies. To send periodical reports in the format given by the H.O. To follow the rules & regulation framed by the H.O. Duties of H.O. & Franchisee …..
2.. To treat all the children in “THULIR” as equal. 3. 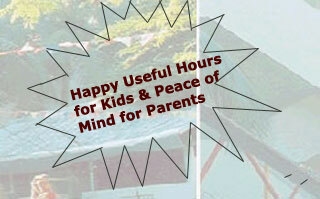 To inculcate discipline among staff and children. 4. To maintain the school premises neat & clean. Ph: 044 - 2377 1088, 3299 1088.